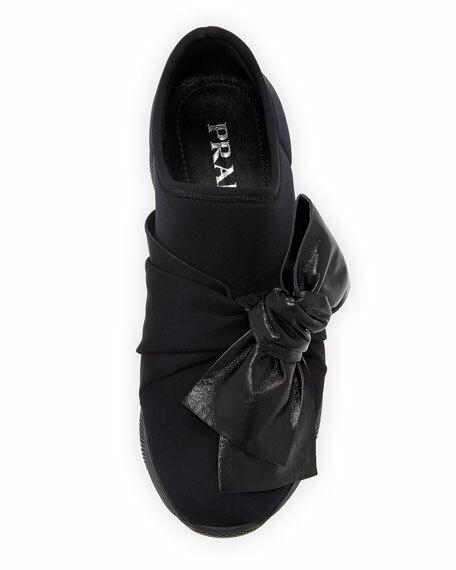 Prada neoprene trainer sneaker with napa leather bow. 1.3" textured heel with platform. 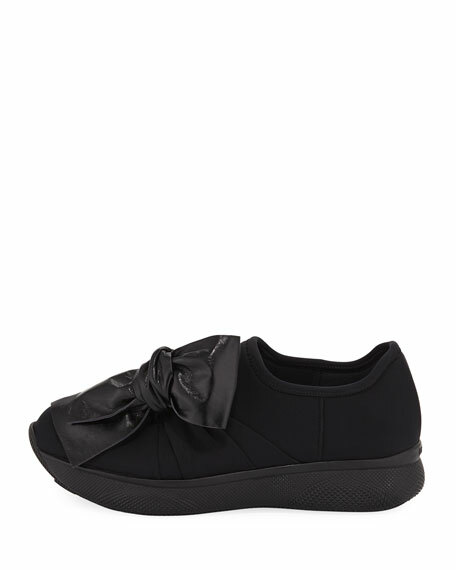 For in-store inquiries, use sku #2465470.